As a conservator and bookbinders deal with several materials especially paper-based material, it is important to understand the paper grain direction theory and get a practical training about determining the grain direction for several paper-based materials whether it is machine made or handmade.In this blog, I will use samples from several and different paper materials and demonstrate the importance of understanding paper grain direction. A paper's grain is the direction which most of the fibers align in a specific orientation. 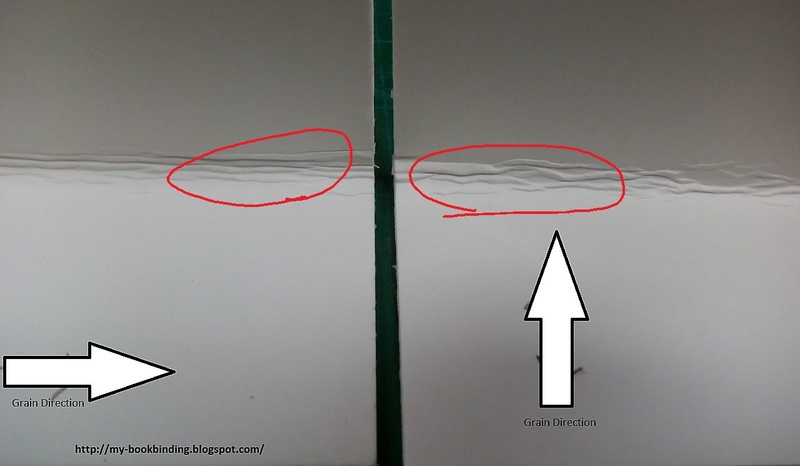 Grain is determined during the paper making process when fibers tend to align in one direction or the other. Is it important to know the grain direction? Paper is susceptible to any moisture, so it is important to know the paper grain direction. 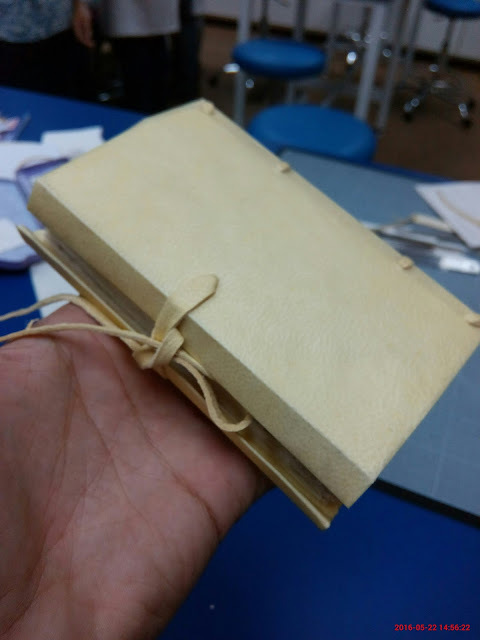 It is ideal to have the grain of the pages, endpapers, lining paper, and boards used for the case...etc. to be barreled with the book spine, in order to eliminate the unnecessary stress on the hinges and for the ease of turning the pages. Normally we are using Japanese paper for conservation and restoration process especially in paper mending, suppliers now a days providing a mechanical made Japanese paper and tissue (unless they say it is handed mad), so knowing the grain direction for mending paper well be as the same concept of having the grain direction barreled to the gutter or to the spine or to be as the same direction as the original paper. 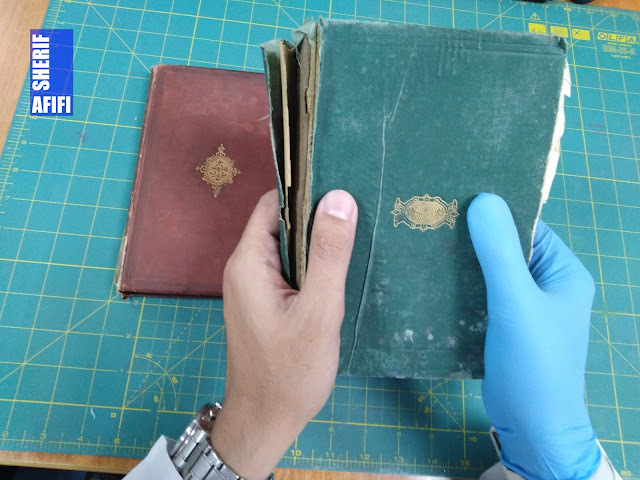 So that, old paper (original) and new paper (that we use for mending) have their tension factor and did not act differently with the temperature and humidity changes. when the grain direction for all customized box materials and customized document mounts is parallel to its hinges, it will open flat with the grain and last longer. Short grain and Long grain. On the other hand, if the grain direction is parallel to the long side (like most of A4 Paper that we use in printers) it called a long grain. So if the grain direction is as long as the length of the whole piece of paper, then it is a long grain sheet. if we have an 11×17 sheet of paper, the grain is running parallel to the 17-inch edge of the sheet and is referred to as Long Grain. 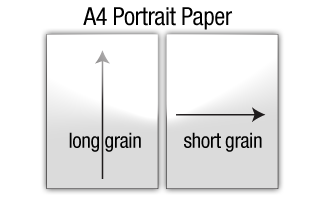 If the paper is 17×11, then the grain is running parallel to the 11-inch edge of the paper and is referred to as Short Grain. Mechanical made papers & Handmade papers grain direction! 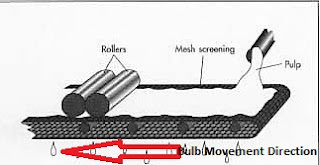 during the paper manufacturing process a bulb path with what called mesh screening is to be used instead of using a mold frame in handmade paper making, the machine using mesh screening which is moving on relays with running water and mold continually, making paper rolls, the direction which is the bulb is running throw the mesh screening makes the fibers mostly aligned in the same direction of the bulb and mash screening movement. this movement direction is the grain direction for the mechanically made paper after drying. 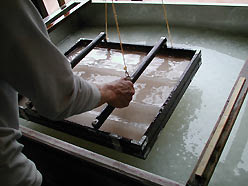 In opposite side, Handmade papers do not typically have a grain direction because all the fibers that make up the paper lay in all different directions when it is dried. 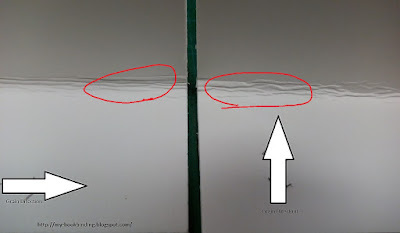 What if folding in a wrong grain direction (against the grain direction)? Generally, In folding against the grain, you are folding the fibers. 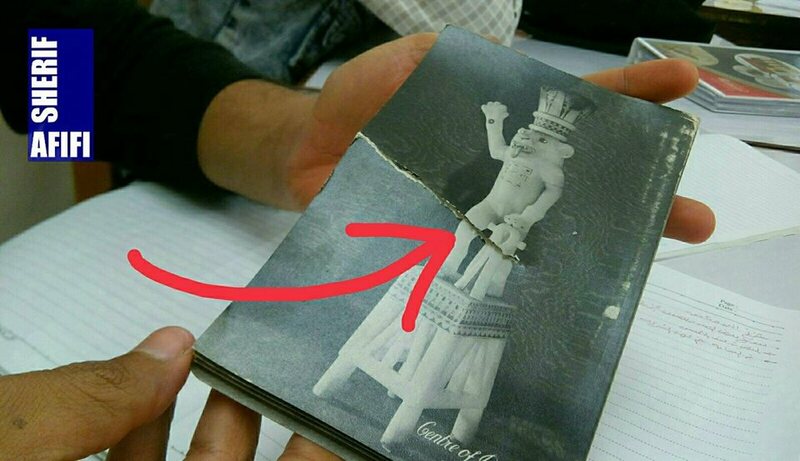 This cause weakens or split for the fibers, resulting in cracks and tears in the paper-based materials. 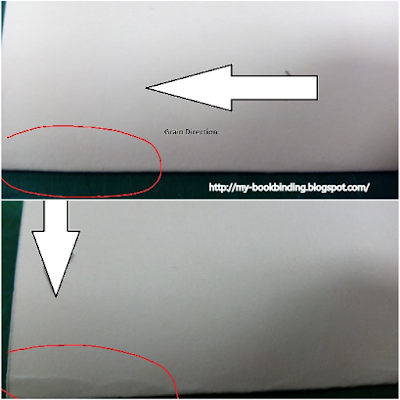 Now it is clear that folding against the grain direction cause weaken for the fiber which will make the folding gutter completely weakness and causing cracks and tears, that is why it is recommended that during binding or restoration process you should fold your paper-based materials to the grain direction and the grain direction should be paralleled to the book spine during binding. Easy ways to determine the paper grain direction, please see this video. 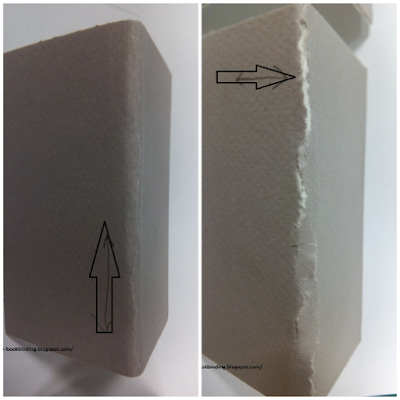 5 Methods to determine the paper grain direction and know the effects of folding papers in the wrong direction.